​Thanks for your interest in having Lansing Stamped Concrete perform your concrete project installation. If your looking to have residential, commercial, or industrial decorative cement work done you have found the right concrete contractor. When it comes to your home or business curb appeal let us help add an awesome stamped or stained entrance walkway that is sure to make people talk. Here at Lansing Stamped Concrete we take pride in customer satisfaction and treat you as you would want to be treated. Every project from start to finish is handled in a professional manner. We offer free estimates on your driveway, patio, sidewalks, steps, walls, slabs, curbs, parking lots, stamped concrete, all residential services, commercial work, industrial floors and anything else your home or company needs. 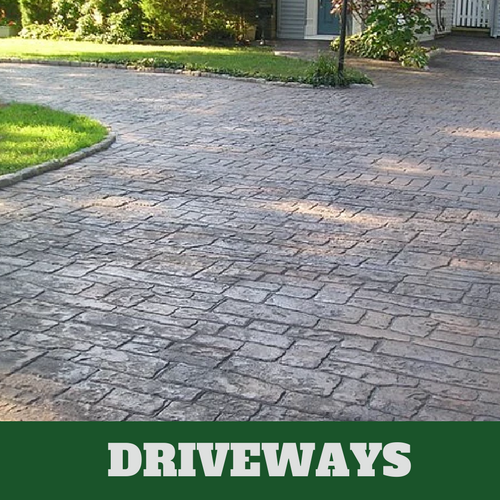 Call us today and find out how much that stamped driveway cost will be with the labor and materials. We always will give you the best price around the Lansing and East Lansing area keeping the business local is our goal. 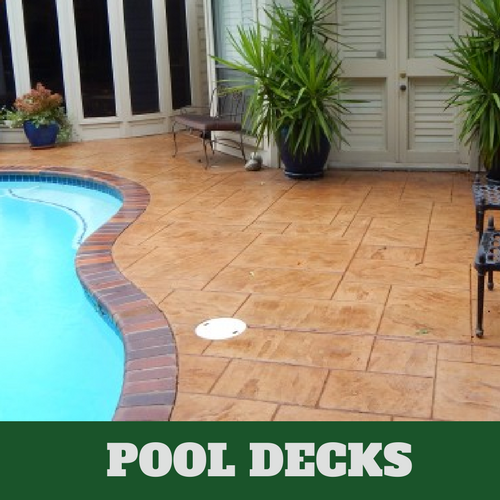 If you're having trouble with your concrete design we have a keen eye for your next decorative concrete project and offer many different stains, color, textures, stamped designs and patterns. With the proper sealer your cement will look great and last much longer. We offer concrete cutting for your egress windows in your basement walls for that added home bedroom. If your business needs to core a hole in a concrete wall we can also handle that project with knowledgeable contractors to assure the job gets done correctly. We appreciate the opportunity to be your concrete business in the Lansing community. Call Lansing Stamped Concrete Today and schedule your FREE quote! When comes to the best material for your driveway for longevity and durability you must choose concrete. With the proper installation and care concrete will last for years to come. Its looks great and with concrete color additives we can match any home decor. If your looking for the best Lansing concrete driveway contractor for the price you have to give us a call. We go the extra mile and make sure the material used under your concrete driveway drains the proper way and is compacted to handle the weight of your vehicles. Make the choice with concrete over asphalt you will not regret hiring us as your lansing concrete driveway contractor we guarantee it. Plus with free bids why not see what we can do. Look forward to earning your business this year. 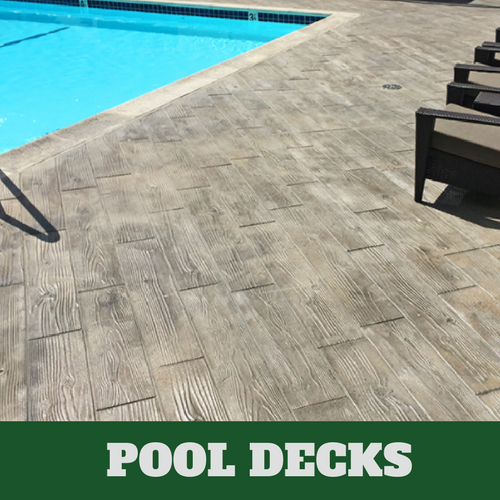 Lansing Stamped Concrete is your local residential concrete construction company. We handle all your house exterior and interior cement needs. 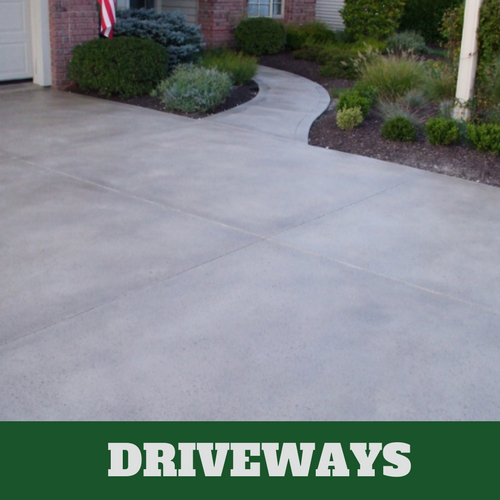 When you are looking to replace that old asphalt drive with a long lasting maintenance free concrete drive, look no further than here for the best price in Lansing and East Lansing, Michigan area. We offer competitive quotes with up front cost estimators so you know what your going to be paying when the job has been completed. You will be glad you gave us a call and scheduled a no obligations Free estimate. We take pride in our contractors work and it shows with our great reviews of satisfied customers. Call us now to schedule your next stamped concrete driveway project. Attention business owners and project managers. We can help you get more customers by having fresh new concrete poured in your commercial business that people will remember. With an endless supply of concrete design options you can create a unique atmosphere that shows your style. With concrete floors you get safe and long lasting easy to clean flooring that also adds character to your company. When you need a new parking lot or entrance ramp to you concrete steps let us handle that for you. As you know when it comes to liability your business needs to replace crumbling trip hazard concrete. We can give your local business a great price on replacing old crushed concrete at very reasonable pricing because we love Keeping it Local! Call Lansing Stamped Concrete Today for FREE Commercial Estimates! 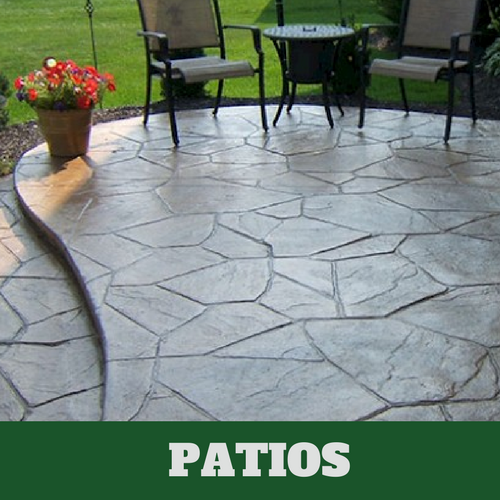 Lansing Stamped Concrete solutions has all your big time cement needs. Is your warehouse in need of some new flooring? 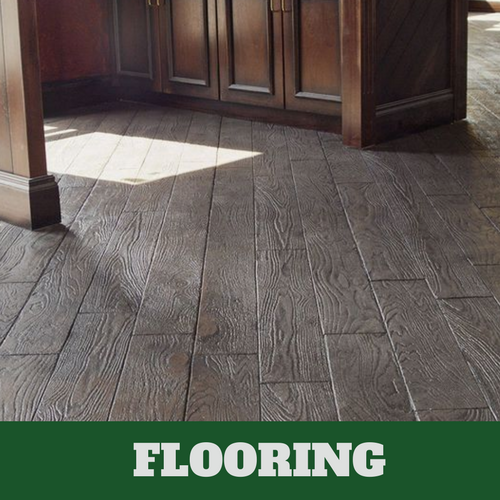 Do you plan on expanding or resurfacing your floors? If yes, then you need to call us to get the best price in the Lansing and East Lansing area. We offer industrial concrete cleaners that can polish up old worn out floors that look amazing again with industrial concrete floor grinders. We can also put down industrial concrete sealants that keeps your floors looking good and clean for years to come. When you count on us to handle your next project you can be assured that the job will be done right and in a timely manner with competitive prices. Call us today for your FREE Industrial Concrete Service Quote! For concrete contractor in Jackson, Michigan area click here. For concrete contractor in Ann Arbor, Michigan area click here. For concrete contractor in Kalamazoo, Michigan area click here.